As a runner, this is one of my favorite trails in the park. 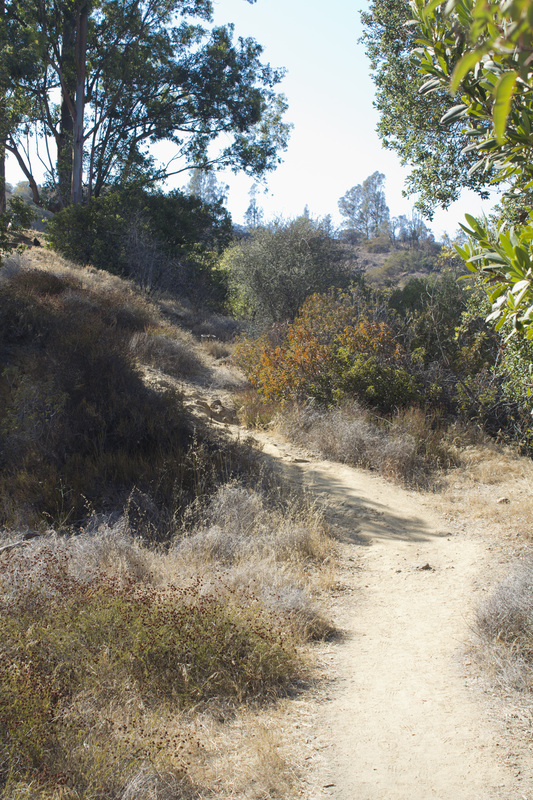 Running one direction gives a steady, but moderate climb on single-track trail for endurance training, while running the other way starts with a strenuous, heart-pounding ascent to build power. But it's also great hike for those who just want to walk. In a 4.5 mile loop you will get to experience all the different types of terrain in the park while feasting your eyes on some delicious mountain landscapes. The trail begins with a fairly steep, but short climb to Amir's Garden, a delightful cultivated garden with walking paths and picnic tables. 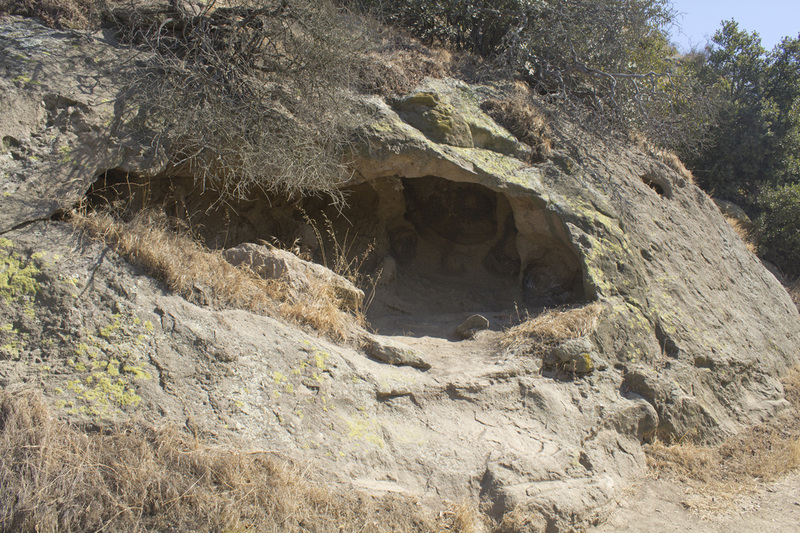 Pushing uphill from Amir's Garden you will skirt the Toyon Landfill on dirt fire road, passing a unique bluff cave rock formation before reaching the closed Vista del Valle Road. 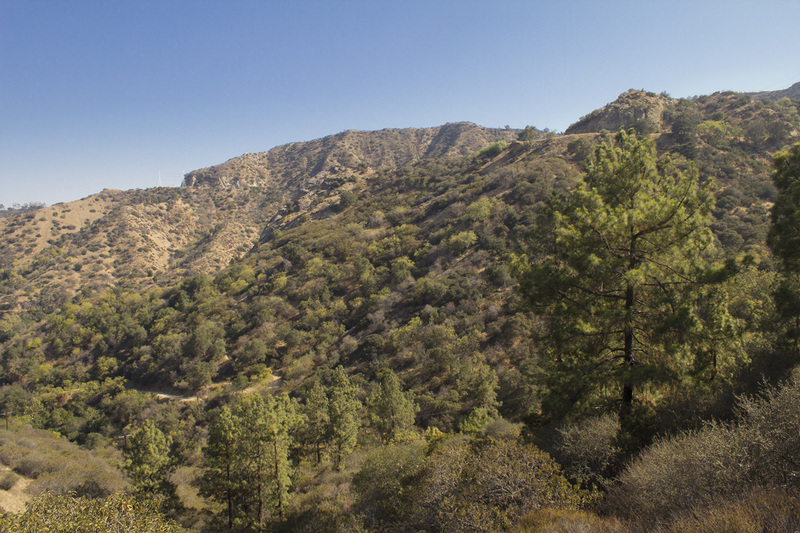 You will continue along Vista del Valle walking in the shade of Eucalyptus, Oak and Pine while taking in views of the San Gabriel Mountains to the east. The unique geologic striations of the rock underlying the mountains of Griffith Park have been revealed by the construction of the road. 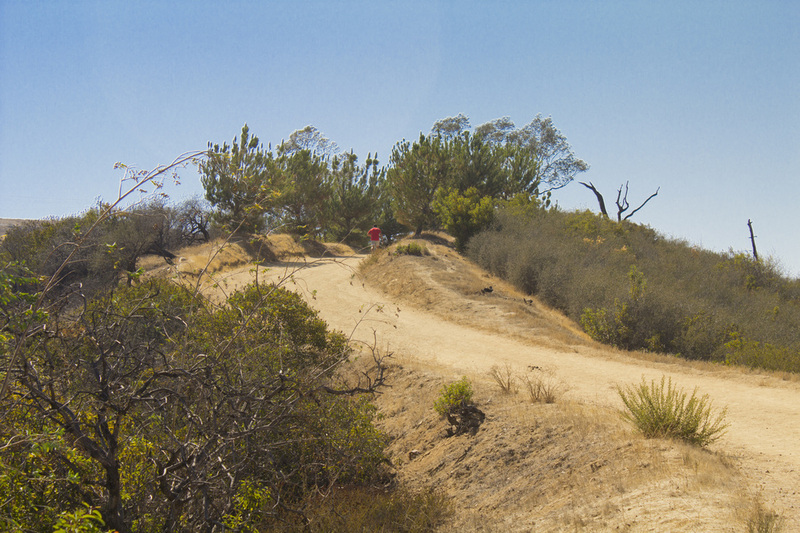 At Water Tank 13 you'll begin your descent on single-track trail through a mix of woodlands and coastal chaparral featuring great views of Bee Rock, Beacon Hill and Mt. Bell. 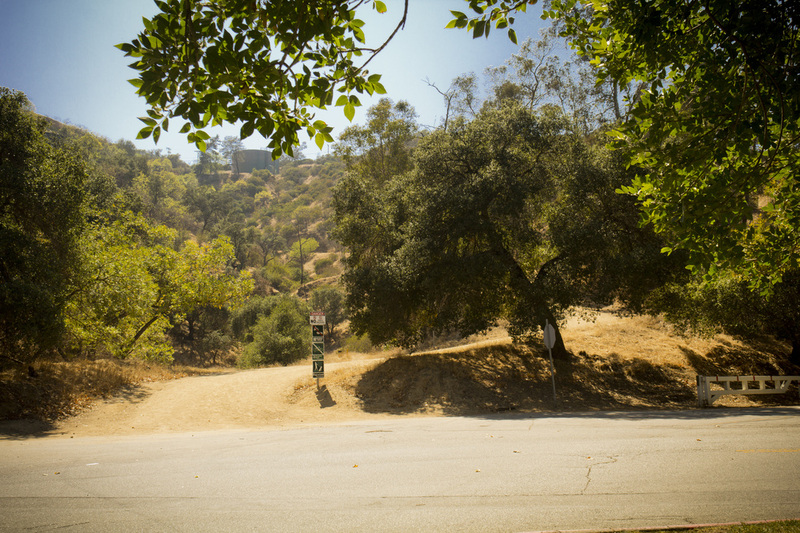 Your trek ends on the gently rolling hills of a dirt fire road that parallels Griffith Park Drive. And while making your hike, see if you can spot the abandoned swimming pool perched on a lower peak in the canyon below Amir's Garden. Mineral Wells Road at Griffith Park Drive, near the golf driving range. Exit the 134 at Forest Lawn Drive and proceed .3 mile. Turn right at the light onto Zoo Drive and proceed .2 mile. Turn left at the stop sign onto Griffith Park Drive and proceed 1.3 miles. Turn right into the Mineral Wells Picnic Area. Trailhead is located on the dirt fire road at the entrance of the Mineral Wells Picnic Area. Rest rooms and water are available in the Mineral Wells Picnic Area. 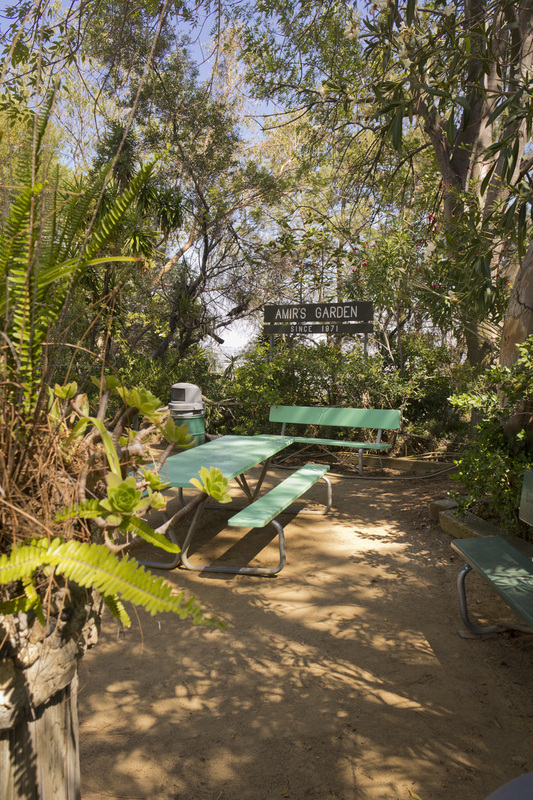 picnic area. Here you will find three intersecting dirt fire roads. a water fountain. Make the turn to your right and continue uphill. Amir's Garden water fountain is located in the upper picnic area. As you pass the water tank you will approach a T intersection. sticky clay that clumps to your shoes. and continue for .35 mile. path. You can stick with the single-track or pick up the dirt fire road. is also a bit shorter. The trail guide will follow the single-track. the left. Continue on the single-track. 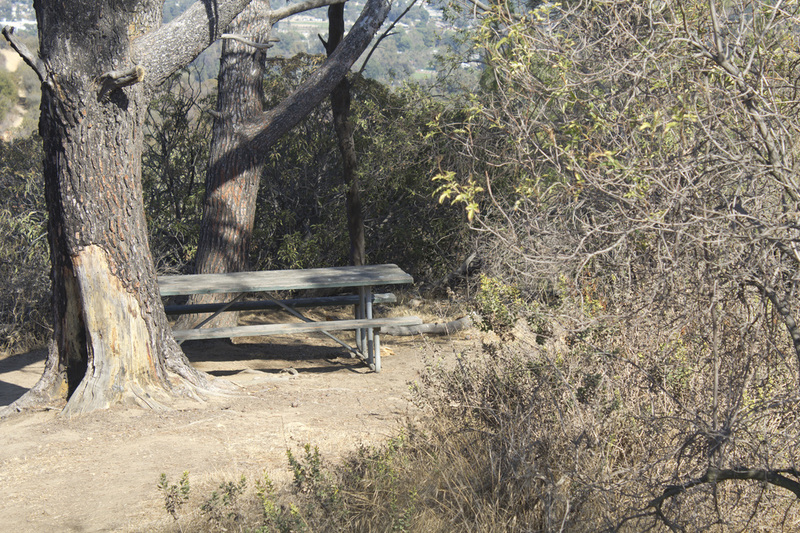 A hidden backcountry picnic table makes a nice spot to rest. The single-track again crosses the fire road on a diagonal line. the next .27 mile to the next junction. on the single-track for .3 mile. mountains can be seen along this section of the trail. 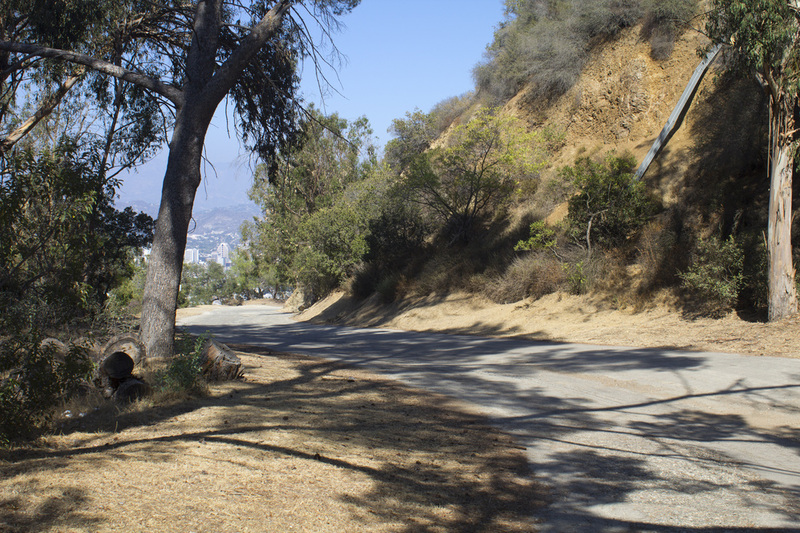 prefer, you may walk along Griffith Park Drive for a more level hike. the final section of the hike. Cross a dirt maintenance access road and continue for .15 mile. 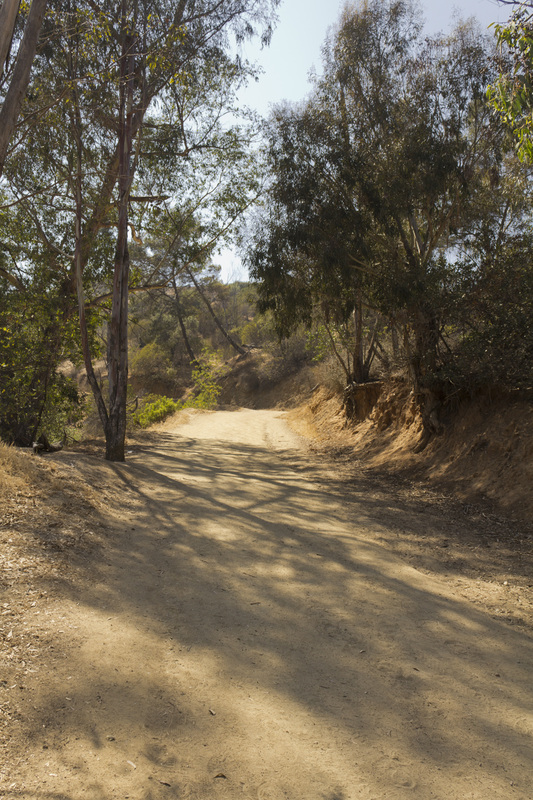 The fire road intersects with Griffith Park Drive and Camp Road. Drive along the driving range. Trail Run and returned to the Mineral Wells Spring picnic area.